…and available via the usual page. You’ll see that there are only 8 works on the set-list, to spare your printers from overheating and also give us time to swap the choirs around after a couple of run-throughs. As I said the other day, I’m really quite excited about singing them all with you. 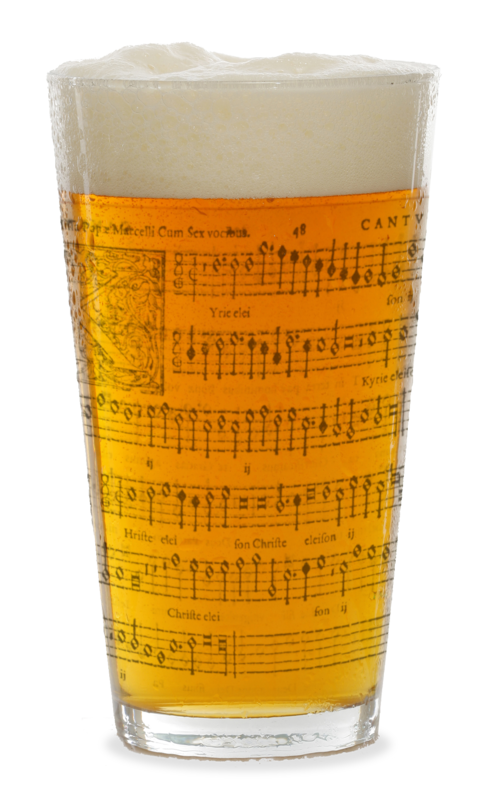 Some, such as the Gallus Adoramus te and the Trombetti Gaude Maria virgo, are pretty standard affairs, with homophonic blocks of call and response between the choirs. Others, like the Palestrina Laudate Dominum include some nice imitative passages, to mix up the texture in places. The ones about which I’m totallly psyched (yes, totally psyched) are the Victoria Lauda Sion Salvatorem and the Gombert Tulerunt Dominum meum. The Victoria is an absolute cracker, with blue notes and sassy little syncopations aplenty, all of which should keep us on our toes. The Gombert is unlike anything else on the list; it’s a much earlier work than the others and is not so much a double-choir number as a richly textured interweaving of 8 distinct voices. The harmonies are utterly beguiling to boot, so if we can pull this one off then I’ll be going home a very happy man. On the night, I’d ideally like to start as soon after 7 as possible so that we can all be in place and get a-boozin’ & a-groovin’ quicksmart. Just a reminder that Monday’s session is pre-registration only so apologies if you missed out on a spot. We have quite a few on the waiting list now but I’ll send out a note if there are any late cancellations. PS Our friends in the Thames Valley Early Music Forum are holding their next workshop in Chiswick on Saturday 19th March, directed by Peter Holman and accompanied by baroque strings and continuo. Singers will have the chance to work through Blow’s God spake sometime in visions and Purcell’s mighty fine My heart is inditing. Spaces left for all voices (sopranos and tenors in particular), £14 per person. Closing date for registration is next Monday 7th March; contact Simon Hill if interested.